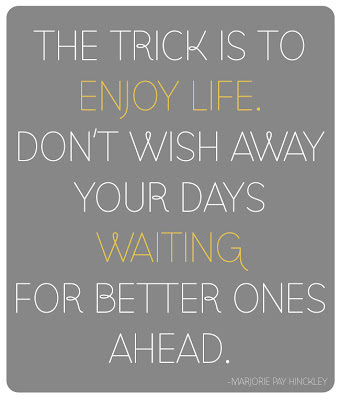 Happy Friday! I took a quick trip to Arizona to visit my grandma so I'm not sharing any Camp Mom activities with you today. I did however love our recent Facebook thread asking the question, "What is your biggest challenge as a parent?"... so I thought I'd continue the conversation here... in addition to sharing the awesome Kid's Co-op Linky. Before I do that though... 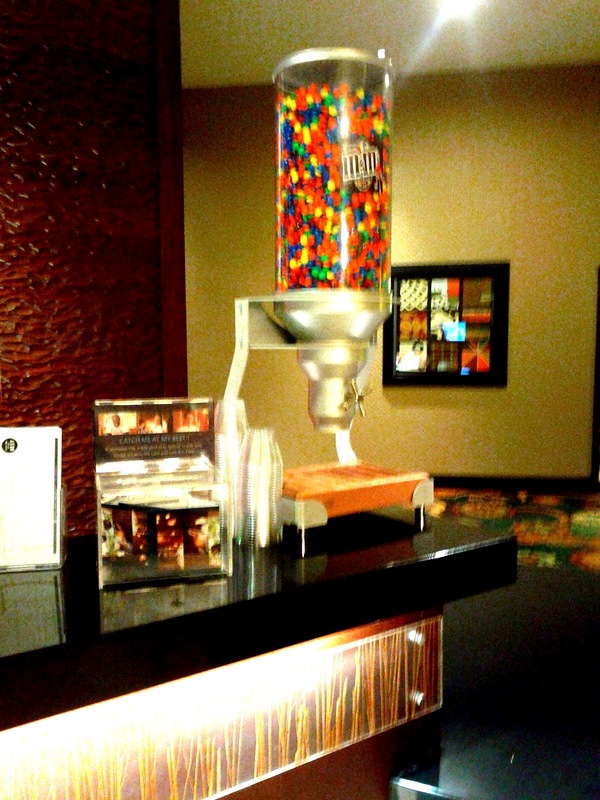 I HAD to share this awesome contraption that they have in our hotel lobby. I am easy to please... especially if it involves M&Ms! I will be visiting this spot several times before I leave to go home. K, so back to our Facebook thread about parenting challenges... I'd have to say "amen" to pretty much every answer. I think many of us feel overwhelmed by the responsibilities we have as parents to raise happy, emotionally stable, intelligent, thoughtful, kind, polite, and social responsible (etc. etc.) children... while still attempting to remain sane ourselves. Patience was one thing that was mentioned again and again by many of you. How do you develop more patience as a parent? This is a great question... and I think if I had the solution, I wouldn't be struggling with the same thing on a day to day basis. Here are five of my favorite things to do on especially rough days.... and on all of the other days too. I'm putting this as number one because seriously it works 100% of the time for me. Sometimes though... I TOTALLY forget to do it. Praying for help humbles me and reminds me of the blessings I have been given (two beautiful kids + one on the way) and helps me see that they are divine and deserving of nothing less than the best treatment ever... and so I stop being so annoyed and see them in a different light. 2. Find examples of patient people around me and try to emulate them. What is it that makes one person more patient than another? Watching others who always seem to be patient is fascinating to me. I try and figure out what is going on in their head that is different than mine. Often their thoughts and actions are more charitable and they are thinking of others more than themselves... and other people's perspectives... so then they are able to be more patient. Often instead of getting annoyed or impatient they look at someone who is struggling or rude or tantruming and think... What can I do for this person? What is this person struggling with that is causing them to act that way?... instead of being offended or frustrated by someone's behavior. 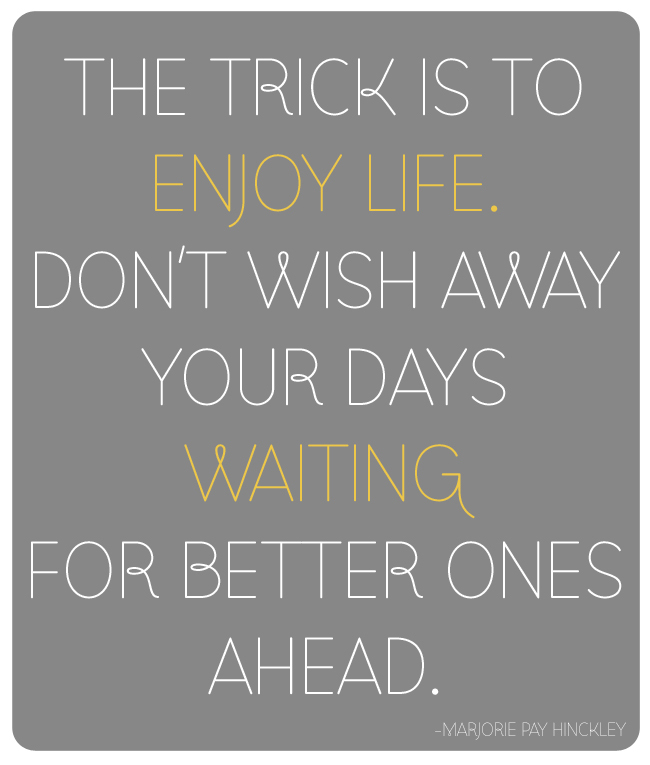 A little separation from what is causing me to be impatient sometimes helps me gain a greater perspective. Exercising with a friend, going out to dinner with girlfriends, planning a date night with my husband, or even setting up an hour so I can go grocery shopping by myself can help me get away from whatever is frustrating me, think through my actions/behaviors, and come up with a revised plan of attack to be better, kinder, calm, thoughtful, etc. 4. Serve my kids and spouse. I pick one child (or spouse/friend) to focus on and find little extra ways to serve that person and notice good/kind things that they are doing. Making my son's favorite breakfast, spending extra time cuddling with my daughter, planning a special project to do with my son during quiet time that he loves, etc... are all ways that I focus less on my annoyed feelings and more on others. I have discovered that when my energy is focused on looking outward, I spend far less time getting annoyed at my kids because the more I serve them, the more I love them, and the more love they feel from me... which means they tend to be kinder and happier too. 5. Forgive myself, apologize, and change. This is hard for me. I tend to get really mad at myself for not being patient or for losing my temper... and then I also have a hard time apologizing. I am getting better at it though. Some days are harder than others. Sitting and wishing I were a better mom isn't going to make it happen. Picking myself up after a hard day, giving my kids a hug and telling them I'm going to try and do better tomorrow, and enjoying each moment with these special little ones that will only be little for so long is what helps me be better... one step at a time. What do you do? 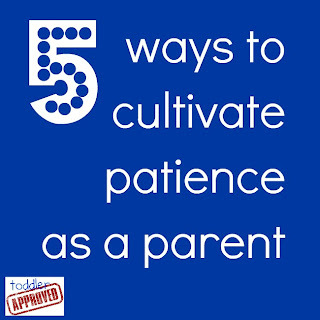 How do you work on developing patience daily as a parent? Is this something you struggle with? I would love for you to pass along your advice and tips because I need new ideas daily!! Another thing I forgot to add is that creating and crafting with my kids helps us be happy at our house... and therefore I am more patient and kind. Here are loads of great crafts and activities for you to try. So make sure to link up your posts to this week's Kid's Co-op! Have you entered our awesome BabbaBox giveaway yet? BabbaCo is GIVING AWAY a 3-month BabbaBox membership to one of our Toddler Approved readers! Go here to check out the details.